Ultra limited edition GREEN vinyl. Includes a 12" x 12" photocard HAND-SIGNED by the band! We also accept UK cheques (GBP only!). Local pickup is also available, we are based in Nottingham city centre. Sunrise In Texas. Like An Arrow. Hier folgende 2 Vinyl LP / Here following 2 Vinyl LP Free On The Wing. Workin' For A Workin' Man. Ain't Gonna Wait. Rock englischsprachig. Ought To Know. We also accept UK cheques (GBP only!). Local pickup is also available, we are based in Nottingham city centre. Local pickup is available for anybody who can get to our office, located in Nottingham city centre. (Hier folgende 2 Vinyl LP / Here following 2 Vinyl LP Run Away from It All. Till the Wheels Fall Off. Erscheinungsdatum / Release date: 06.04.2018. Amanda Shires). Nobody Gives a Damn. Flesh and Bone. 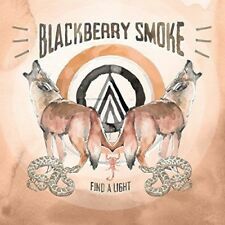 BLACKBERRY SMOKE - FIND A LIGHT 2 VINYL LP NEW! Released in 2012, The Whippoorwill was the third studio album from country rockers Blackberry Smoke. The Whippoorwill. Crimson Moon. Purple vinyl. Ain't Got The Blues. Shakin' Hands with The Holy Ghost. Hier folgende Vinyl LP / Here following Vinyl LP Rock englischsprachig. Country Rock. Best Seat in the House (Acoustic). Mother Mountain (Acoustic). You Got Lucky (Acoustic). Title: Leave a Scar. Format: VINYL. Release Date: 2014-08-18. Condition: New. The Whippoorwill. Crimson Moon. Hier folgende 2 Vinyl LP / Here following 2 Vinyl LP Lucky Seven. One Horse Town. Ain't Got The Blues. Shakin' Hands with The Holy Ghost. Sleeping Dogs. 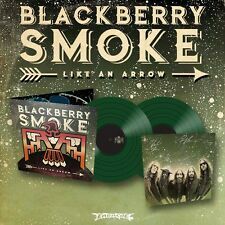 BLACKBERRY SMOKE - LIKE AN ARROW 2 VINYL LP NEW! Holding All The Roses. Hier folgende Vinyl LP / Here following Vinyl LP BLACK VINYL. Mit ihrem Live Album „Leave A Scar“ sind sie in den Top 50 der deutschen Charts eingestiegen. Living in the Song. Top of Page. All of our CDs and vinyls are new and in perfect condition, unless specifically specified otherwise. We have hundreds of CDs, DVDs, T-shirts and vinyls available. We also accept UK cheques (GBP only!). BLACKBERRY SMOKE - HOLDING ALL THE ROSES' BLACK VINYL LP NEW! The Whippoorwill is the third studio album by Blackberry Smoke and widely regarded amongst fans as their best piece of work. The Whippoorwill / 2. Lucky Seven / 3. Leave A Scar / 4. Crimson Moon. All of our CDs and vinyls are new and in perfect condition, unless specifically specified otherwise. We have hundreds of CDs, DVDs, T-shirts and vinyls available. We also accept UK cheques (GBP only!). 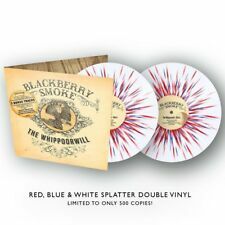 BLACKBERRY SMOKE - THE WHIPPOORWILL (EUROPEAN PURPLE VINYL) 2 VINYL LP NEW! A2 Holding All The Roses. A3 Living In The Song. A5 Woman In The Moon. B6 Fire In The Hole. Blackberry Smoke - Find a Light - New Double Gatefold Vinyl LP. Due to be released on April 6th, 'Find A Light’ follows the band's hugely successful 2016 album, ‘Like An Arrow', which landed at #1 in the Official Billboard Country Chart and #8 in the Official UK Album Charts plus Top 40 charts positions in Sweden, Switzerland, Germany, Norway and the Netherlands. Blackberry Smoke - Like An Arrow - Double unplayed LP - with autographed insert printed. Blackberry Smoke - The Southern Ground Sessions - New Vinyl LP - Pre Order - 26th October 2018. Best Seat in the House (Acoustic) / 2. You Got Lucky (feat. Amanda Shires) [Acoustic] / 3. Mother Mountain (feat. ). Sunrise In Texas. Blackberry Smoke - Like an Arrow - New Vinyl LP - Signed Insert. Like an Arrow. Workin' For A Workin' Man. Ain't Gonna Wait. The Good Life. Sunrise In Texas. Like an Arrow. Workin' For A Workin' Man. Ain't Gonna Wait. The Good Life. Title: Holding All the Roses. Format: VINYL. Condition: New. Genre: Rock/Pop. Release Date: 2015-02-09. 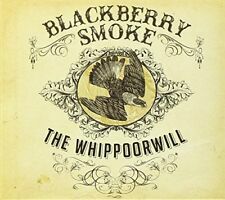 BlackBerry Smoke - The Whippoorwill. B1 The Whippoorwill. B4 Crimson Moon. 2 × Vinyl LP Reissue, Purple, Gatefold. B2 Lucky Seven. MINT VINYL. A4 One Horse Town. C1 Ain t Got The Blues. By: Blackberry Smoke. Artist Blackberry Smoke. Format 2 LP. D3 Till The Wheels Fall Off 3:42. A2 Run Away From It All 4:24. ONZOW Zero Dust Stylus Cleaner BLACK Mag. Occasionally we may open an LP to confirm any colour variant. Title: HOLDING ALL THE ROSES. Artist: BLACKBERRY SMOKE. Format: LP. Year: 2015. 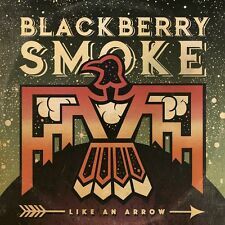 Blackberry Smoke Like an Arrow . (Hand signed edition! Til The Wheels Fall Off. Run Away From It All. Amanda Shires). Seems So Far. I'll Keep Ramblin' (feat. Robert Randolph). Label: Earache. Format: Vinyl LP. We will dispatch the product after receiving the money. Release: 2018-04-06. We will do so too. We'll strive to resolve your problem. Condition: new.